The bees are disappearing! People have been hearing this for years now, but has it really sunk in? 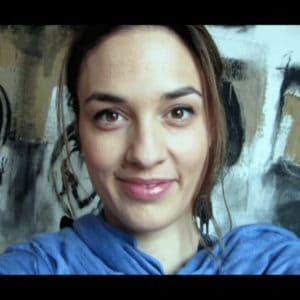 Bees, the most important pollinators in most agroecosystems, are dying at an incredibly fast pace due to “colony collapse disorder.” However, colony collapse disorder isn’t a disorder at all – it refers to the abandonment of bee hives by the bees themselves. Bees abandon their hives for many reasons, but the most common are usually radiation from cell phone towers, which hinders bees’ ability to navigate, and pesticides, which kill bees. 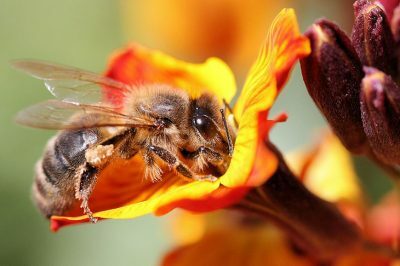 Pesticides are definitely the bigger problem of the two, as evidenced by the recent death of over 2.5 million bees in South Carolina in just one day when a highly toxic pesticide was sprayed on the area. Though the target of the pesticide was the local mosquito population, pesticides rarely discriminate and often kill the majority of other non-target insects in the area. Despite the gravity of the issue, there are several, simple things you can do to help the bees. You can help hydrate everyone’s favorite pollinators by making a simple DIY bee waterer. Bees need shallow water for drinking, but shallow water normally evaporates quickly. Other sources of water such as bird baths and lakes are normally too deep for bees who can drown if the water is not sufficiently shallow. This can leave bees without a water source in some cases. To make a bee waterer, fill a pie pan or similar container with marbles. Then, fill it with water. 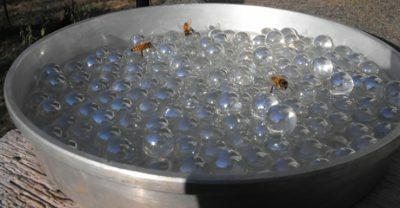 The marbles give the bees a landing spot, so they can drink without the risk of drowning. Not all gardens and not all flowers attract bees equally. Bees need diverse garden landscapes with many different types of flowers and plants in order to have enough food throughout the year. By planting a variety of plants that flower at different times during the year, you can ensure that the bees in your area have a food source year-round. 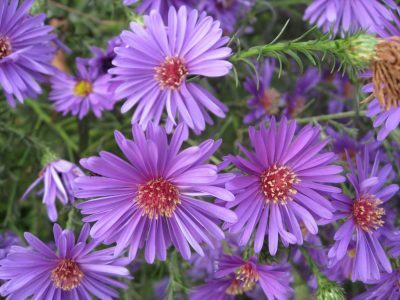 Flowers that are blue, purple, and yellow are especially attractive to bees. Also, bees prefer gardens that are not perfectly neat as they need raw materials for nest building. Creating a small pile of dry grass, dry leaves, and deadwood can provide bees with everything they need to build a nice, warm nest for winter. Don’t have a garden space of your own? Not to worry! You can always “guerrilla” garden and plant flowers for bees in public areas or in abandoned fields. 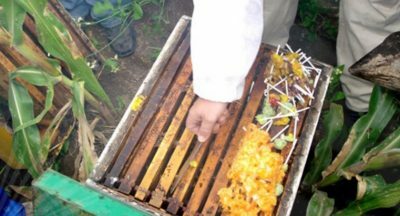 A hive has its honey replaced with sugar lollipops by an irresponsible beekeeper. Beekeepers normally harvest honey in the fall, leaving the bees without honey for the winter. Instead of leaving enough honey for the bees until spring, commercial beekeepers instead feed sugar of high fructose corn syrup to bees. This practice is due to economic pressure as it is more profitable to take as much honey as possible from the hive and leave the bees with a cheap and artificial substitute. High fructose corn syrup and refined sugar are damaging to bees’ health and, left with toxic food for the duration of winter, many bees instead leave the hives. Before buying honey, check to make sure that honey you are buying isn’t contributing to this harmful and surprisingly common beekeeping practice. By far, the greatest danger to bees is the widespread use of pesticides. Pesticides, like most other “targeted” agrochemicals, don’t discriminate between their target species and non-target species. In other words, if a pesticide is marketed to kill one specific insect, like a mosquito, it likely kills many other insects as well. Though insects have a bad reputation in agriculture, many insects, including bees, are essential to plant life. Insects are essential to soil health, pollinate plants, and are important food sources for birds and other animals. In organic agriculture, many predatory insects naturally control pest problems, making pesticides unnecessary. The use of pesticides is killing the bees, but it’s also permanently damaging our soils and ecosystems. 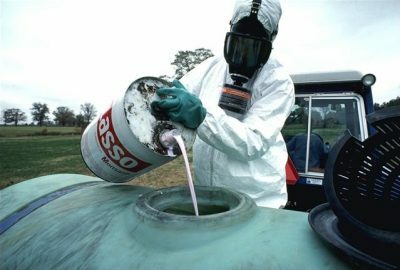 Pesticides also have many dangerous health effects in humans. Demand an end to pesticide use by talking to local farmers or local politicians about your concerns. Swiss researchers have found that honeybees exposed to cell phone radiation are likely to become confused, which can lead them to leave their hives and become lost. The confusion continued for up to 12 hours after phones stopped ringing or being actively used, suggesting that bees are very sensitive to cell phone radiation. 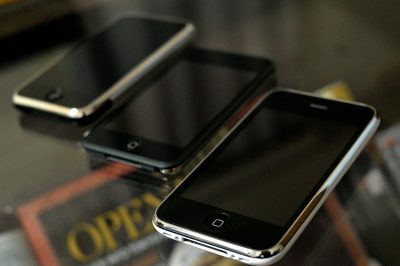 Another study showed that keeping a cell phone near a bee hive caused the hive’s collapse in only 5 – 10 days. However, the bees weren’t bothered by inactive phones or phones in standby mode. If you plan to go for a walk in a place where there are bee hives, consider turning off your phone or putting it on standby. What are your thoughts on saving the bees? Please share, like, and comment on this article!